I need more convertible dresses. The only bad part: all the extra "le string". I tied it in five bows to get it out of the way. 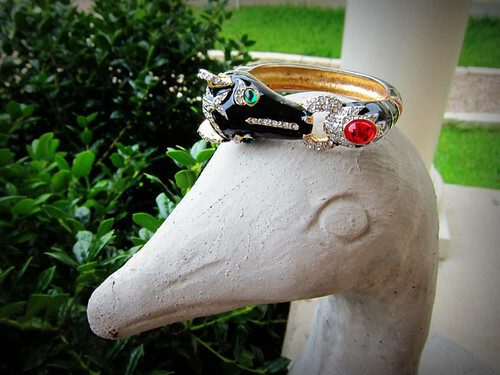 My magnificent horse bracelet on top of Henri, my concrete goose. Speaking of TOMS, sadly, mine are in transit back to the TOMS warehouse. My fear about having swollen pregnancy feet came true, and I think I'm now a half size larger. 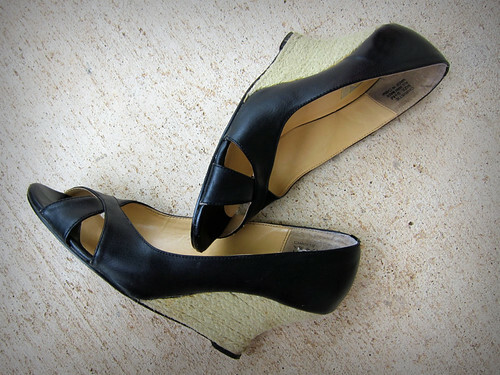 Luckily my Cynthia Vincent wedges still fit (for now), but my TOMS wedges became terribly uncomfortable. I requested a simple exchange for a larger size, so hopefully they'll be back to me super soon, and I can be giddy for them again!